Learn the principles and best practices for making your desk work for you as effectively as possible. Setting up our desk is something that we all have to deal with, and yet there’s almost nothing out there on how to do it well. 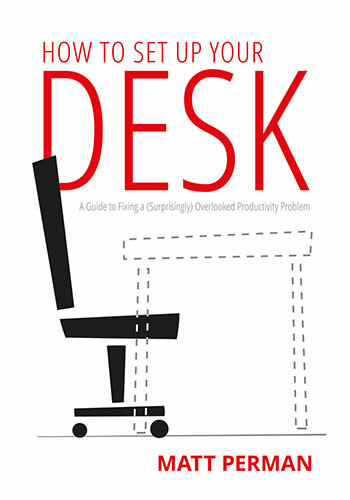 There’s no single go-to book that brings together the best principles and practices for getting a clear view of how to make your desk work for you as effectively as possible. That’s what this book aims to do. We’ll look at why desk setup matters, basic principles for setting up your desk well, where to put your desk (and where not to! ), what goes on your desktop (less than you think), how to set up the drawers, and how to set up the rest of your office. Along with this, we will also see the connection between setting up your desk well and changing the world, which is what all productivity practices are ultimately about.